Ningura Napurrula was born at Watulka, south of the Kiwirrkura Community, c.1938. She married Yala Yala Gibbs Tjungurrayi and together with their young son Morris they went in to the Papunya community after meeting up with Jeremy Long during one of his Welfare Patrols. 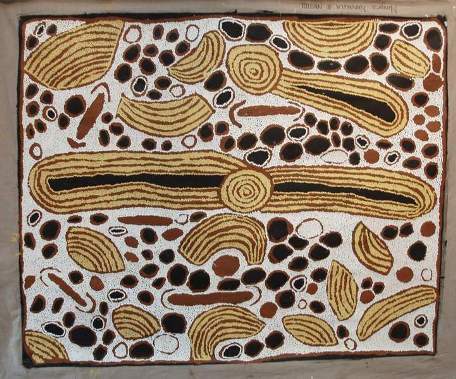 In 1999 Ningura contributed to the Kintore women's painting as part of the Western Desert Dialysis Appeal. 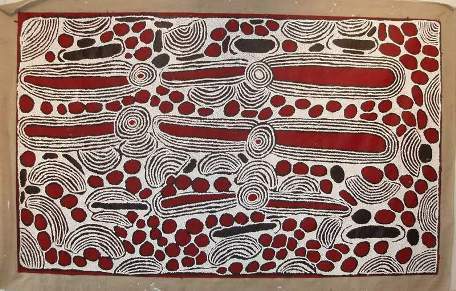 Later in 2003 she was chosen along with four other Papunya Tula Artists to have one of her paintings represented on an Australia Post international stamp. In 2004 Ningura was one of eight Aboriginal artists selected to have an example of their work incorporated into the architecture of the Musee du Quai Branly in Paris, due to open early 2006. The museum will house the French collection of art from Africa, Asia, Oceania and the Americas.